LOVE's Haven: Happy Birthday Yoyang! March 16, 1936 a girl named Benita S. Valero viuda de Mutia was born….she grew up with his parents not as a spoiled brat but blessed enough that she experienced all the goodness that life has to offer. Now that she’s on her 77th birthday we wanted her to experience again the life that she had before in her younger years. We the grandchildren and her children gave her a birthday bash. She invited her set of friends from Church and the rest are just family members and relatives who made her 77th birthday so memorable! 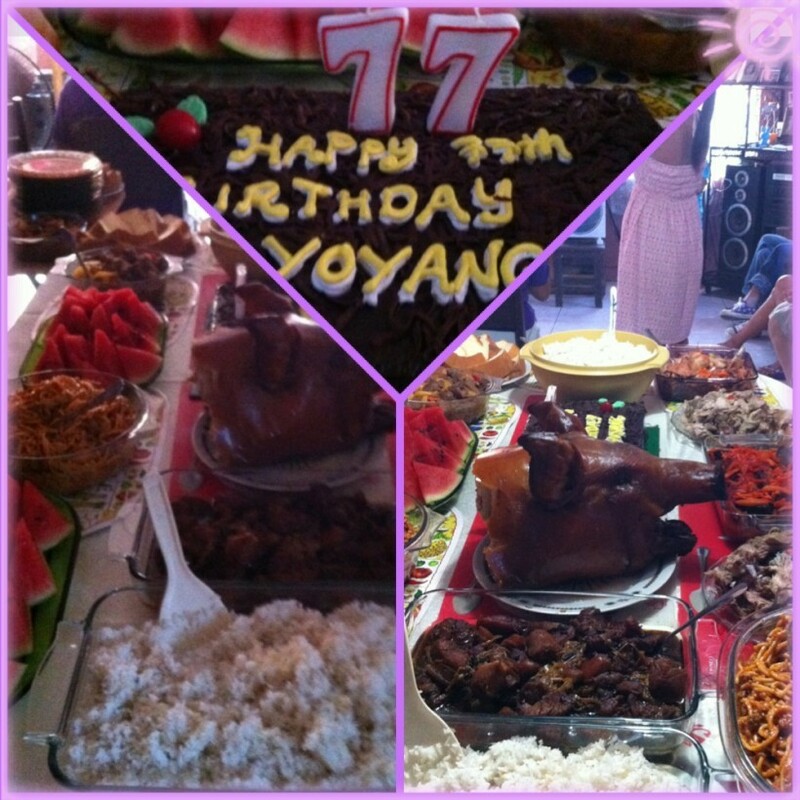 Once again, a blessed birthday to our dearest Yoyang (grandma)!